Nightline implements TRAX OCR and Approval systems. 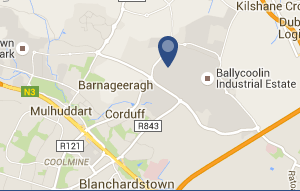 Nightline Ireland is the largest privately owned express courier delivery service on the island of Ireland. Nightline introduce TRAX accounts payable for scanning purchase invoices using OCR technology to reduce manual data input. The system is fully integrated to Navision to allow seamless transaction creation and document viewing. Nightline also implemented TRAX web approval to quickly assign invoices to various users in their branches throughout Irelasignificantlynly reducing approval times.